Wong Kar-wai‘s hotly anticipated The Grandmaster 3D is set for release in China on 8th January 2015. The film’s final poster and trailer have been unveiled, with Tony Leung Chiu Wai, Zhang Ziyi and Chang Chen‘s appearing in never-before-seen footage. 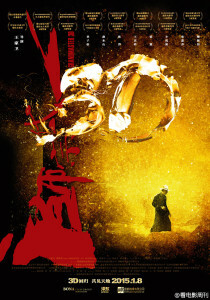 Wong Kar-wai said that 3D was the most suitable method to bring about a wuxia film like The Grandmaster. 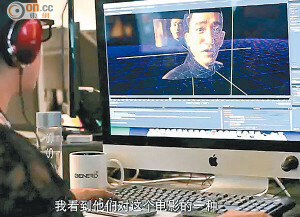 The film is based on a foundation of long preparation time and attentive production, as well as investment of massive manpower and material, to create a 3D film. From The Grandmaster 3D‘s poster and trailer, this epic was not simply a 3D visual handling of the original shots. Wong Kar-wai re-edited the film, the storytelling order and structure were adjusted anew as he completed a new film with a more outstanding theme and a more smooth flowing story. After the 3D conversion, The Grandmaster was shrunk down to 111 minutes. The pace was even faster and the story even more powerful, suitable for the audience to watch at the movies and experience this brand new viewing. He said, “3D is a very effective method, giving the expression of the story even more space and possibilities.” Wong Kar-wai felt that after an all new editing and mixing in 3D, the film in the end reached its best quality. He hoped that The Grandmaster 3D would be able to provide everyone with a new angle on the story. 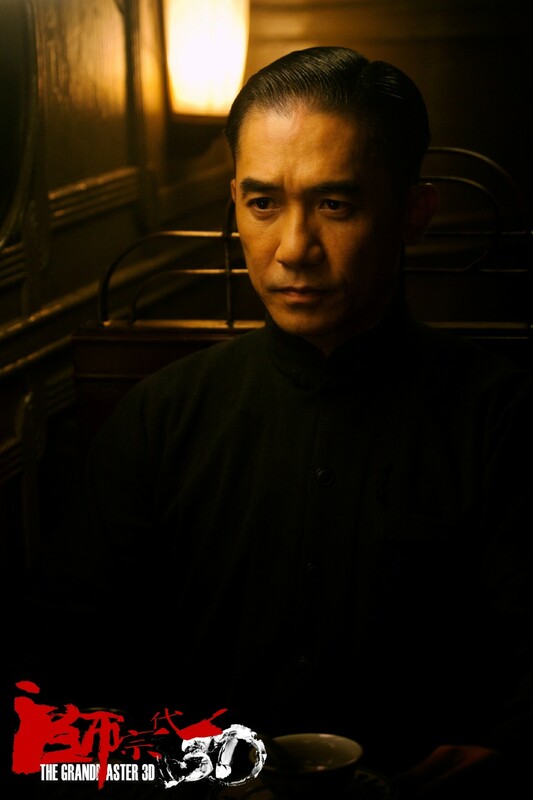 Wong Kar Wai said that The Grandmaster 3D displayed the “fighting is like kissing” scenario; Chang Chen’s portrayal of Yi Ziantian appeared to be even more skilled and daring. The most mysterious martial art style of Zhang Ziyi’s character Gong Er, the “64 palms” might possibly show its true face again. In The Grandmaster, Ip Man and Gong Er only had two duels but was so deeply impressed by the “64 palms” that he found it hard to forget. He only wanted to see such great kung fu again, unfortunately due to various reasons Gong Er’s special abilities finally vanished from the world, without any “echo”. Yet in the end of The Grandmaster 3D‘s trailer, Gong Er’s line “If you want to see the 64 palms, you only have the time it takes to open a fan” was added. Seemingly there was room for something more. Wong Kar-wai headed to Los Angeles for in-depth communication with top Hollywood 3D team Gener8 to ensure that the film preserves all of its “Eastern presence”. With the skills of technicians, in the end the rain and snow scenes and the kung fu displays had more dimension. Some of the 3D edition’s exclusive video even appeared in the trailer.